We are the light infantry, an elite company of the 23rd Regiment of Foot, Royal Welch Fusiliers. Made up of the quickest and most active men of the regiment, we were employed as scouts, skirmishers and shock troops. 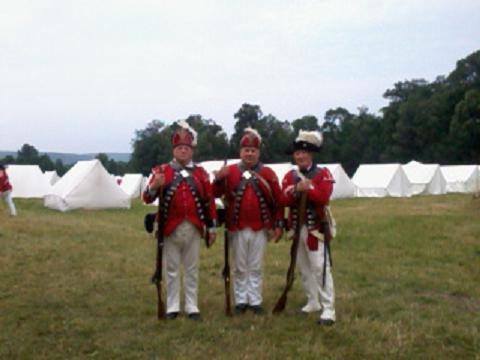 Come join us and live on the sharp edge of the regiment and the British army in North America! The light infantry are to concentrate on obtaining their gaitered trousers. This is to insure that we are able to attend all events, early and late war. The orders to switch our weskits to the General Rufane, or rounded style, have been placed on hold. Check back often for updates on events the Light Infantry will be attending this year closer to home!